The light and noble Sram XX1 Eagle Gold- a real eye-catcher! 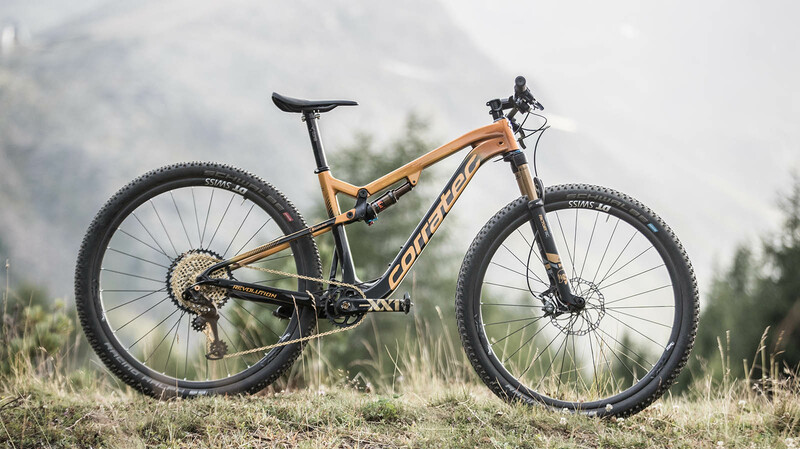 Newly developed corratec Revolution iLink fullsuspension frame, ultra lightweight Virtual pivot point (VPP) frame, with sensible VPP rear suspension system for best traction in any terrain. Weight among 2 kg, including the shock. 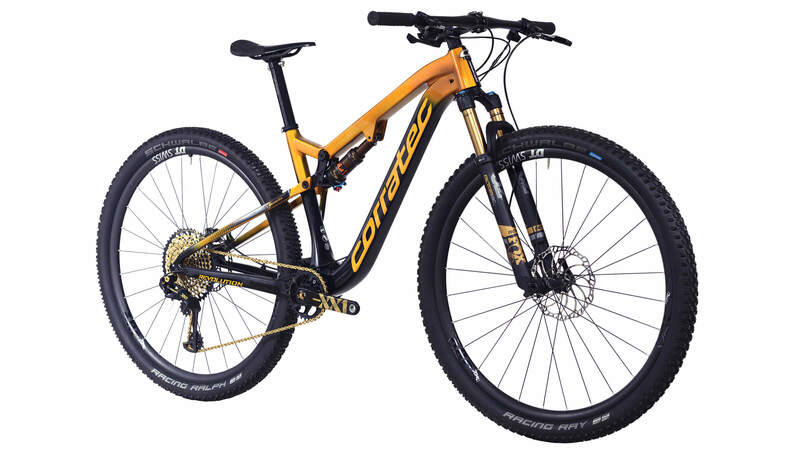 Frame manufactured with EPS technology that ensures a stiffer, lighter and more consistent frame. DPS (Dual Piston System) enables the rider to choose between three different pressure levels and ensures always the correct response for the different surfaces. EVOL (Extra Volume) for maximum comfort and more feeling on the trails. 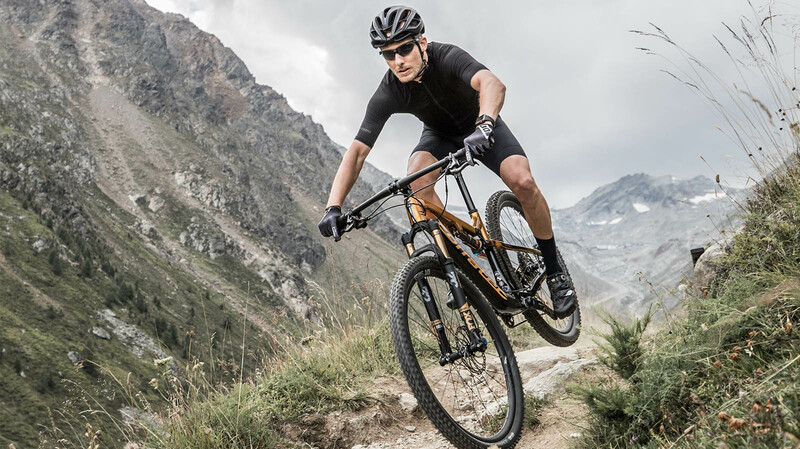 The brakes fits perfectly for demanding Cross Country and Marathon competitions: Super lightweight with the Carbotecture SL® housing and high braking power thanks to the new ergonomic 1-finger HC Carbolay® brake lever. The first choice for all Pro´s! Eagle™ pulley technology provides greater efficiency, crisper shifting and quieter operation. Carbon cage and lightweight hardware make it light and tough. Carbon trigger and cover reduce weight. Customizable setup via the adjustable pull-lever and MatchMaker™ X .
SPLINE Hub - The lightweight, reliable and robust hub is the first choice for all XCO contenders. 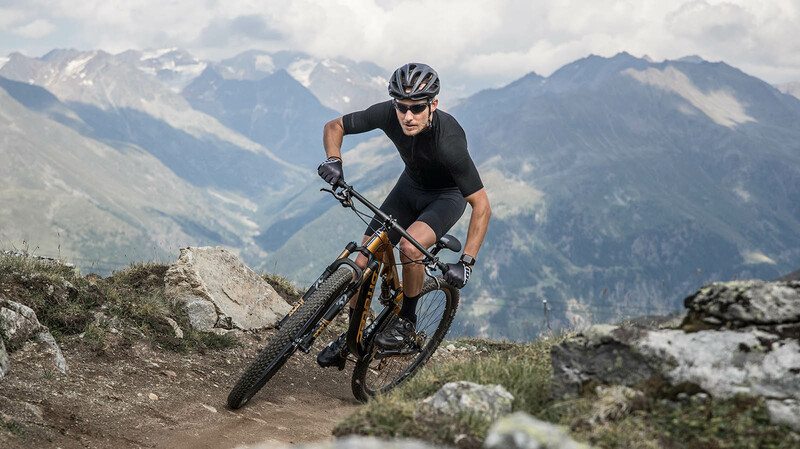 The proven toothed disc freewheel not only ensures the typical DT Swiss Sound, but also a very direct traction every 10 degrees over 36 teeth. Straightpull spokes - These spokes ensures a very high stiffness in the impeller and by eliminating the delicate spoke arch for a very high durability. ADDIXSpeed - Speed, grip and durability. Combining all three properties perfectly in a mix. ADDIXSpeed is the universal compound with the absolute highest application bandwidth. 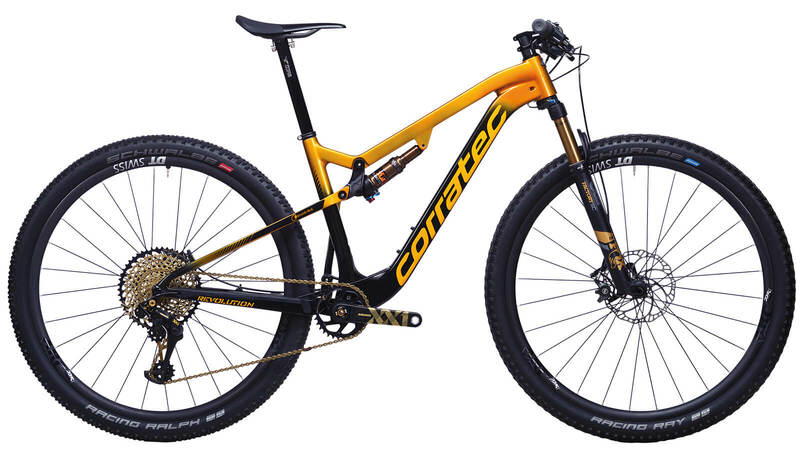 Ideal for XCO, AM and Trail, it replaces the previous PaceStar compound. SnakeSkin - The tire can also be driven tubeless. The use of sealant is required, but the installation is just as easy as with real tubeless tires. The SnakeSkin side fabric guarantees cut-resistant sidewalls, thereby increasing puncture resistance. Innovation is our trademark. For more than 25 years, we have delighted our customers, surprised competitors and have been followed by imitators, there are almost no other products with as many useful inventions ad found on a corratec bike. You will feel that in every pedal stroke. The new kinematics of the Inside Link system shifts the virtual pivot point of the rear wheel below the chainline. It ensures that during pedaling there is no weight on the damper and the system does not refract. When the pedals are pushed the chain tension increases, the rear triangle is pulled tight. With this unique corratec innovation, you do not have to manually lock the damper while riding. Dropper Seatpost with control lever on the handlebar or seatpost.